Gideon lived in fear. In fact, all of Israel was living in fear in the land of Midian. God had placed them there for seven years because of their evil ways. And while there, the people of Midian ruled over them with violence. When the people of Israel grew livestock, the Midianites would steal it. When they grew crops and brought it to harvest, the Midianites would come and steal the grain. The people had nothing because of the theft of the Midianites. When Judges 6 first opens, Gideon is using a winepress to thresh wheat so that the Midianites would not see what he had. He was living in fear. Gideon’s humility showed when he says he is the weakest in his tribe, Manesseh. But God tells him that He will be with him, and he will defeat the Midianites. So Gideon, from his desire to serve God and not the idols of his father and the Midianites, asked the Angel to stay until he could give an offering. And when he prepared the offering and brought it to the Angel, the Angel touched it with a stick and it was consumed by fired and the Angel left. Notice that God speaks not to the physical circumstances of Gideon, which was the lack of grain and livestock to eat and their poverty. He speaks to the circumstance of his heart, when he says “do not fear – you shall not die.” God knew Gideon, this great man of bravery, was fearful. But to get him to understand and use his gift of bravery, God had to remove that fear. Gideon was so overcome by the word of God that he built an altar there and called it Jehovah-Shalom, which means, The Lord is our Peace. Gideon alone gave God this name. It’s not mentioned anywhere else in the Bible. That very night God instructed Gideon to do the most dangerous thing. In a land of people who worshipped Baal, he asked him to tear down the altars of Baal and build an altar to Him where it stood. And that night, Gideon gathered his first army of ten men and did exactly that. The next morning when the people woke and saw there was no altar of Baal, even Gideon’s own father was outraged. When the men of the city wanted to kill Gideon, his father said to leave that work to Baal, and called his son Jerrubbaal meaning “Let Baal plead against him, because he has torn down his altar.” His own father had given him a new name to dishonor him. Did Gideon grow discouraged and quit? Did he go into hiding from the people of Midian? No. In fact, after gaining confirmation from God through a damp sheep skin, he went to battle as the leader of a large army against the Midianites, Amalekites, and other tribes. When God gives you peace, it’s not like the world gives. The peace of the world is here today – gone tomorrow. It resides on circumstances. If things are good in life, your needs are being met, there’s harmony in your family, your circle of friends is unbroken, then you have the worlds peace. But the peace of God is the kind that you can hold on to when your family is sick, when your finances don’t finance anything anymore, when your marriage is falling apart, your kids are in chaos, and when you don’t have happiness to hold your head up. This peace is of God. It’s an anchor in the storm. It’s assurance of an unfailing friendship, an eternal loving friend, and the provisions of Almighty God. And again, it is rooted in faith. 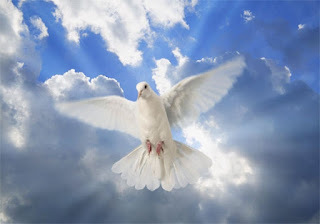 Jesus described the peace He would send through the Holy Spirit in John 14:27 when He said, “Peace I leave with you, My peace I give to you; not as the world gives do I give to you. Let not your heart be troubled, neither let it be afraid.” Neither let it be afraid…because where there is fear, there is no trust, and where there is no trust, there is no faith. If you want more peace, grow your trust in God. If you want to trust God more, grow your faith. Jehovah-Shalom will certainly draw near to you when you draw near to Him.